My lashes and I have a bit of a love-hate relationship. They’re long, which I know because every single makeup artist has told me so, but they’re also stubborn and refuse to curl. No matter what mascara I use or which curling tool I purchase, they do not curl. Which is why I decided to give them the LVL treatment that promises to lift, volumise and curl stubborn lashes. Now, I’m no lash novice—I’ve had them curled before and even became addicted to lash extensions for months on end (my bank balance didn’t look too healthy)—but I’ve never tried an LVL treatment. One week after having it done, though, and I’m pretty much hooked. This is me with mascara on, no joke. You can see my lashes are long, but you can also see how straight they are. I wasn't lying when I said they don't curl. Below, is the after. I’ve never seen my lashes look this lifted. I'm not even wearing mascara here and they look more lifted than when I would wear mascara. I mean, it's safe to say I'm a total LVL convert. Thinking about joining me? I gathered all the information you need to know before having them done. You’re probably wondering what LVL lashes are, right? So before we delve into my experience, I enlisted the help of Charmaine Kyriacou, head trainer at London salon Browhaus, where I had my treatment. She told me that the LVL stands for “lash, volume, lift” but the treatment also involves a lash tint. How are LVL lashes done? The process actually starts 24 hours before you have them permed with a patch test. I know, I know—it’s frustrating to have a patch test every single time you hit the salon chair, but it’s as important to ensure your skin will take to the treatment. A solid 24 hours later, I made my way back to Browhaus. The salon has a reputation for being the boss of eyebrows, but it also offers a selection of lash treatments. It’s renamed LVL lashes to Lash Curl Up (£48) and Lashgraphy (£15) to give it a personalized spin, and you can even book in for just the perm or just the tint. Upon arrival, I was taken downstairs to a private area and asked to lie down on the pre-made bed. Nothing out of the ordinary there. The treatment started with the salon woman cleansing the eye area to ensure all traces of makeup were gone and then asking me what type of curl I would like. As I’d had my lashes curled previously (minus the tint) and been slightly disappointed, I decided to go full volume with a tight curl. You can choose between a loose or tight effect, but l went for the tighter look. The technician then measured a small rod against my eyes. The rod sits as close to your lash line as possible on your eyelids—it’s what holds the curl as the bonding gels are applied. She then applied a lash glue to pin back my lashes to the rod. Next, a perming lotion is applied to your lashes, which has to sit for around 20 minutes. I definitely fell asleep and felt very relaxed. After the perming lotion had done its magic, the technician came back and applied a neutraliser, which was left on for a further 15 minutes. And finally came the tint. I went for black, as I wanted to be able to be mascara-free on a daily basis. You can cater the colour to your own personal preferences, though. The beauty of LVL lashes is that the tinting only takes around three minutes, as it takes to permed lashes much faster. I will mention that I wear contact lenses and do wish I’d taken them out for the treatment. I was assured it was absolutely fine, but I was very aware of my lenses throughout. The whole treatment is really safe, and I felt completely comfortable for the hour duration. I was slightly worried before about the LVL lash treatment damaging my lashes, but the salon’s head trainer, Chermaine, assured me that it wouldn’t. According to her, it depends on how often you have the treatment, so if you go back every three weeks or more regularly, you could cause potential damage to your lash area. She recommended having a top-up every two months, which I will definitely be doing. The treatment is even safe for pregnant people, so long as they’re past the three-month lifespan. Can you get LVL lashes wet? Chermaine recommended that I wait for around 48 hours before contact with water around my eye area. This is because the water can loosen the curl, as it needs time to set. You can wear eye makeup and mascara with the LVL lash treatment, but again, I had to wait for 48 hours (this was difficult—I won’t lie). But now I’m left with beautiful, fluttery lashes that need no eyelash curling and hardly any mascara. The dream. 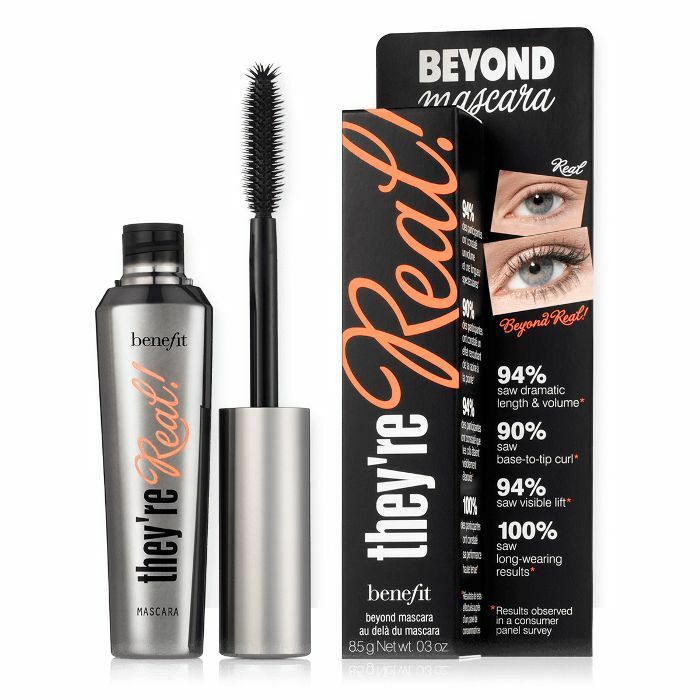 If you do choose to apply mascara, try this one by Benefit that I’ve been loving. It gives all the drama. You can’t go wrong with a slick of Stila’s cult eyeliner at the very base of the lashes. It’s my signature eye look. In short, I’ve become totally smitten with my new wide-eyed, fluttery lashes. I swear, it’s the best beauty treatment I’ve ever had.